Miniature Cracker Sandwiches Are Made With The Delicious Taste Of Peanut Butter. One-Of-A-Kind, Buttery Cracker Is Perfectly Sized In Bite-Sized Pieces. 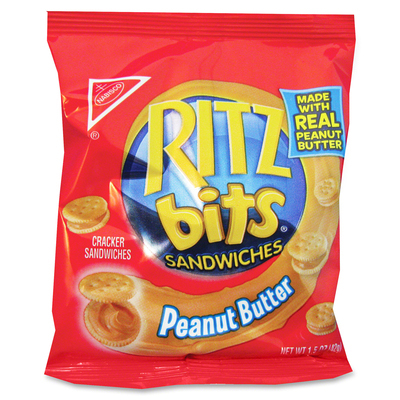 Convenient Packages Offer A Great Way To Take These Delicious Treats With You For A Convenient Snack While You'Re On-The-Go..
Miniature Cracker Sandwiches Are Made With The Delicious Taste Of Peanut Butter. One-Of-A-Kind, Buttery Cracker Is Perfectly Sized In Bite-Sized Pieces. Convenient Packages Offer A Great Way To Take These Delicious Treats With You For A Convenient Snack While You'Re On-The-Go.